This is the ideal stamina drink for those who want the feeling of their teenage years forever, containing extracts of four kinds of snakes, particularly cobra, as well as sea snake, habu pit viper, and Japanese pit viper, well-balanced with Korean ginseng extract. 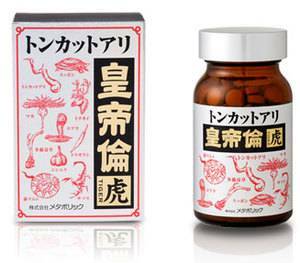 We created a balanced mixture of active ingredients from ferocious snakes that are full of mystique with the cobra, king of snakes, as the main constituent. 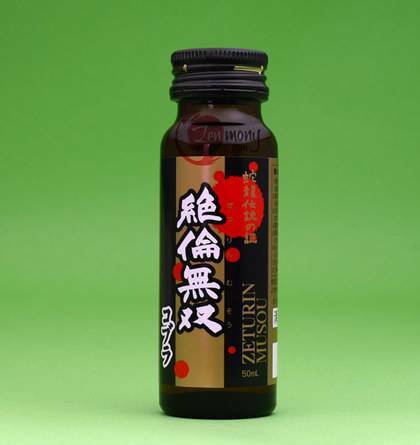 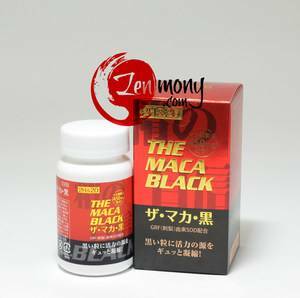 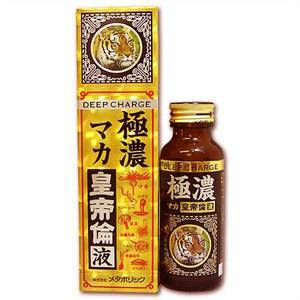 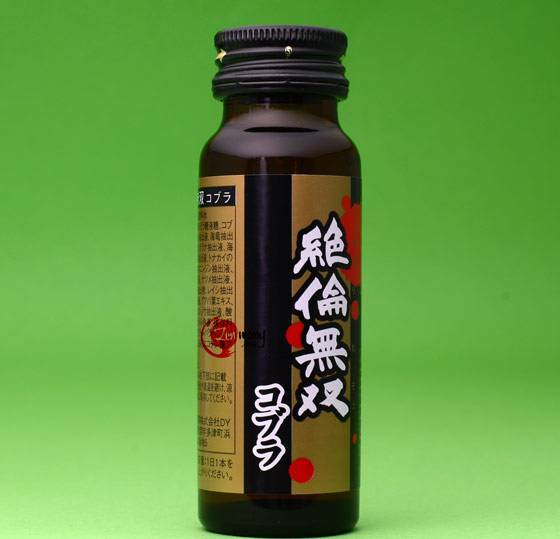 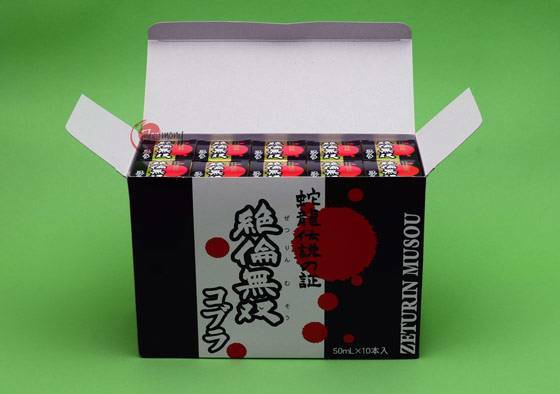 We provide bargain-priced Zetsurin Muso Cobra, the stamina drink that will bring out your vitality. Dosage: Take 1 bottle (50ml) a day.